For LEAF 2019 Angie will be performing visuals with Sean Winters on piano and electronics. According to sacred geometry we examine reality through geometry and music whereby the world is perceived as systems of pure pattern and geometric structures of form and proportion. The Pythagorian view regards geometry and numbers as means to attain knowledge of external and internal space and time. Animations created from geometric forms: The Golden ratio, Diaphantine triangle, Fibonacci sequence, the mystic spiral fold into one another, departing from their magical equations into abstracted multiplied planes. 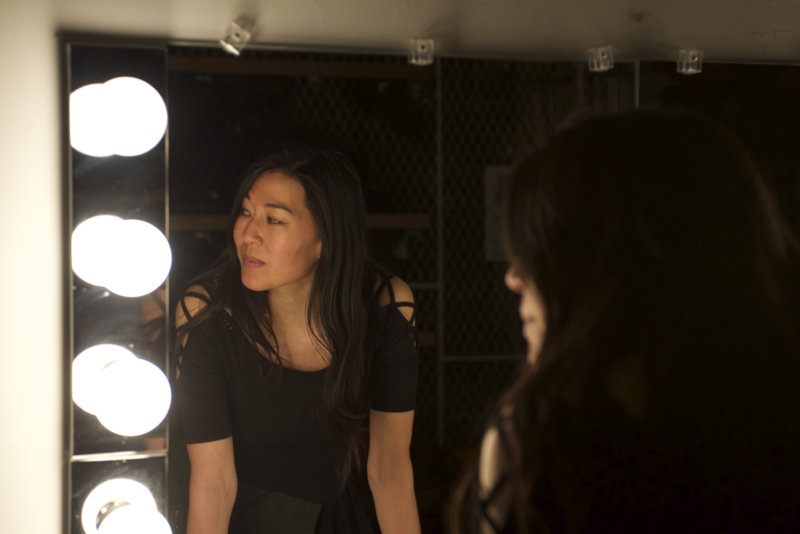 Angie Eng is a visual artist who works in experimental video, conceptual art and time-based media. In 1993 she moved to New York City and became part of the second wave of experimental live video pioneers in downtown New York City. 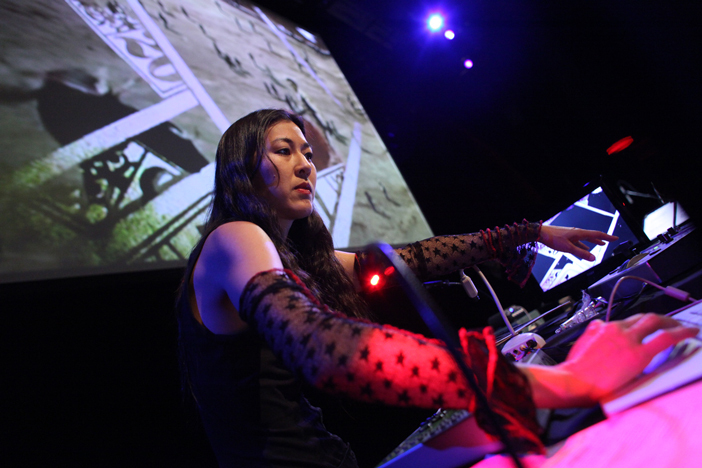 Her work has been performed and exhibited at established venues: Whitney Museum at Philip Morris, Lincoln Center Video Festival, The Kitchen, New Museum of Contemporary Art, Renssalaer Polytechnic Institute, Eyebeam Art and Technology Center, Roulette Intermedium, Bronx Museum, Artists Space, Art in General, Anthology Film Archives, Experimental Intermedia, Le Cube, Maison Pop, CNES, and Cité de la Musique. She has received grants and commissions: New Radio and Performing Arts, Harvestworks, Art In General, Lower Manhattan Cultural Council, New York State Council on the Arts, Jerome Foundation, Alternative Museum, and Experimental TV Center and Foundation for Contemporary Arts.